Home > Blog > What is UM, UIM, and MedPay Insurance? Every day, Arkansas drivers sign up for car insurance with a wide range of different insurance companies and are required to choose between several additional coverages with different limits and deductibles that they can add on to the basic liability only coverage. 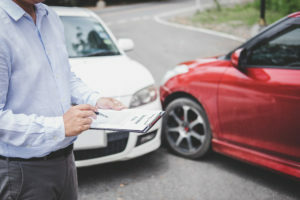 Drivers typically understand why they need liability insurance to protect themselves and other users of their vehicle from potential damages if they negligently operate the vehicle and cause a collision. However, many drivers either do not fully understand or do not appreciate the importance of the additional coverages that they can add to their insurance policies. The primary additional coverages that are often disregarded are: Medical Payments (MedPay); Personal Injury Protection (PIP); and Uninsured and Underinsured (UM/UIM) coverage. Insurance policies are written specifically to be confusing. As a result, after an accident, many drivers are unaware of exactly what their insurance company will pay and what their limits truly are. Some drivers are shocked to find out that they don’t have enough insurance to pay for their accident and for the injuries they sustained, especially if the “at fault” driver didn’t have enough insurance. Uninsured and Underinsured (UM/UIM) insurance coverages pay insurance benefits for your damages if the other driver who caused the collision and your injuries is either uninsured or does not have sufficient insurance limits to fully pay for the damages you have incurred. Uninsured motorist coverage – Used when you’re in a crash caused by an uninsured driver or a hit-and-run. The coverage will pay for injuries you or your passengers suffer. Underinsured motorist coverage – Used when a driver hits you and has some insurance, but not enough to cover your medical costs. Like uninsured coverage, it pays for injuries you or your passengers suffer. Uninsured motorists are not only those drivers who do not have insurance, they are also drivers who flee the scene of an accident (hit and run) and those drivers who have stolen a car. Without this coverage, if you’re injured in a motor vehicle collision through no fault of your own, you may be responsible for all of your medical payments and property damage. Suppose you were injured in an accident with a drunk driver who did not have current insurance on his car. Who would pay your medical bills? Normally, you would be able to file a claim with the “at fault” driver’s insurance company, but since the drunk driver who hit your vehicle didn’t carry insurance, you would be unable to collect compensation through them. Your only option would be to collect compensation from your own insurance company through your own UM/UIM motorist policy. Arkansas Insurance Laws require insurance companies to offer UM/UIM insurance coverage to all of their drivers, but it is an optional insurance coverage that drivers are allowed to opt out of. If the insured driver does not want to elect for this coverage, they must sign a rejection denying this coverage. The offer only has to be made one time, and one signed rejection will continue until it is withdrawn by the insured. Problems occur when a person is injured in a collision and believes that they have full coverage car insurance. If the person who hit them does not have car insurance, and the injured person rejected uninsured (UM) coverage, there is typically no place for the injured person to recover. They may be stuck with a damaged car and no one to help pay for medical expenses. Medical Payments (MedPay) coverage is another optional insurance coverage that pays for the medical expenses of an insured person and his or her passengers after a motor vehicle collision. MedPay will pay out its benefits regardless of who caused the collision and will generally cover an insured who is permissively driving someone else’s vehicle, and an insured or his or her family members who are injured as pedestrians. Personal Injury Protection (PIP) coverage is required in Arkansas and pays benefits for medical expenses and lost wages incurred by the insured person and his passengers injured in a motor vehicle collision. MedPay and PIP are no-fault insurance coverages, which pay the insured regardless of who is at fault. MedPay is the same as PIP except it does not pay for lost income, only medical expenses. What happens if I don’t have UM/UIM? Arkansas requires that all drivers have a minimum of $25,000 in insurance in order to be driving. But $25,000 may not cover of all the medical expenses, the time off work, any permanent injuries, or future medical expenses that are likely to be incurred because of the injuries. Even when the limits are higher, it still may not be enough. For example: a driver hits you and as a result, you lose your leg. Policy limits of $100,000 would not be enough to take care of your medical bills, your loss of income or maybe even your livelihood, and certainly not the loss of your leg. To be smart, check with your insurance agent about increasing your own limits and about getting additional coverage that would protect you if the person who hits you doesn’t have enough insurance to pay your damages (underinsured motorist “UIM”) or if the person who hits you violated the law by not having any insurance (uninsured motorist “UM”), or to cover your medical expenses that health insurance won’t (med pay). Without UM/UIM insurance, you may not be able to recover the money you need to pay all of your medical bills, rehabilitation, and lost wages. This can significantly impact your future and your recovery and could place unnecessary financial burdens on you and your family. You’ve probably seen the option to add “uninsured” or “underinsured” coverage to your car insurance plan. Have you ever wondered if it’s worth it to add the additional coverage – or wondered when you would need it? Well, before you opt out of you UM/UIM insurance policy, consider this: in Arkansas, 16 percent of drivers are uninsured. That means, if you’re in a car accident in Arkansas, there’s a 16 percent chance that the person at fault is uninsured. The cost of adding the additional coverage varies depending on your age, vehicle and location. The average cost of damage in a car accident is $7,500 – not counting medical bills. The decision to add uninsured/underinsured coverage to your plan comes down to how comfortable you feel taking on the risk of having to pay for damage from an accident you didn’t cause. In general, the cost of adding UM/UIM is minimal each month, but its value cannot be overstated. After an accident, UM/UIM car insurance keeps you from getting stuck with bills from an accident you didn’t cause. It is essential for drivers to understand the coverages they are rejecting when signing up for car insurance. Even if you currently have car insurance, check your declarations page to determine if you have sufficient insurance coverage or if you need to make changes and elect for these additional coverages. If you are injured in a motor vehicle collision and have doubts or questions about your or the other driver’s insurance coverage, contact a personal injury attorney at Rainwater, Holt & Sexton so we can help you determine the available insurance coverages under which you may recover.